We’ve seen unfortunate insects trapped in amber time and time again, but this time it’s something else. This time, a new species of ancient flower was found preserved in amber. The fossil species are a representative of the asterids, one of the most diverse groups that also include sunflower, coffee, potatoes and mint. The new fossil flower Strychnos electri in its original Dominican amber piece of mid-Tertiary age. The whole flower is less than 20 mm long and is the first finding of an asterid flower in amber from the New World. Amber is fossilized tree resin (not sap), highly valued as a gemstone since Antiquity and even before. The oldest amber recovered dates to the Upper Carboniferous period (320 million years ago) and is also valued by paleontologists – for itself, but also for what it traps inside sometimes. Insects, spiders and even their webs, annelids, frogs and many more get trapped inside; this time, it was some flowers. 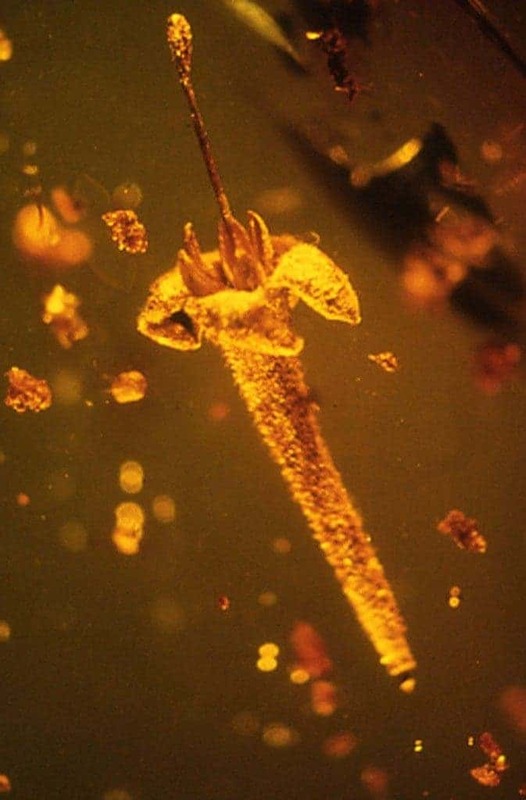 Caption: The flower of Strychnos electri, found in fossilized amber, shows a long fused petal tube, anthers that are visible in the mouth of the flower, and a long style that protrudes far. George Poinar and Lena Struwe from Oregon State University and Rutgers University respectively discovered these two pieces of amber in the mountains in the Dominican republic. They managed to describe them biologically and realized that they’re completely new species – never before described in science. They name the new species Strychnos electri, after the Greek word for amber, elektron. 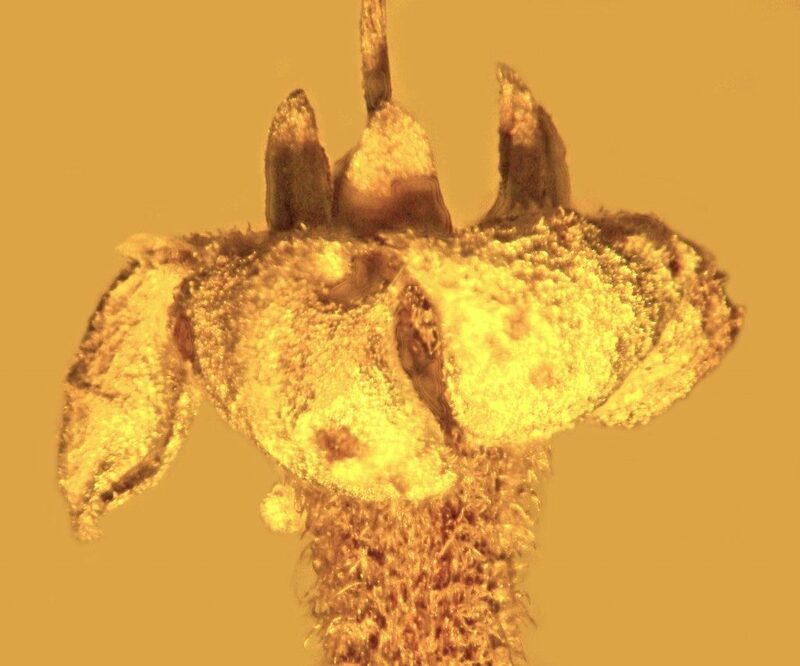 Strychnos electri is a newly found fossil flower in amber, and a closeup of the fossil shows the recurved petal lobes and small, tightly attached anthers with pollen in the mouth of the flower. Unfortunately, they weren’t really able to accurately date the amber. They are following two “trails” with dating, one that would put the amber back to 15-20 million years ago, while the other one would push them back to 30-45 million years. Putting things into perspective will help researchers better understand the biological evolution of the Caribbean environment. Such fossils contribute to our understanding of the evolution and composition of the Caribbean forests, way before North and South America were connected by the Panama land bridge.